C.I.O War Services -- Red Cross (Mar. Apr. 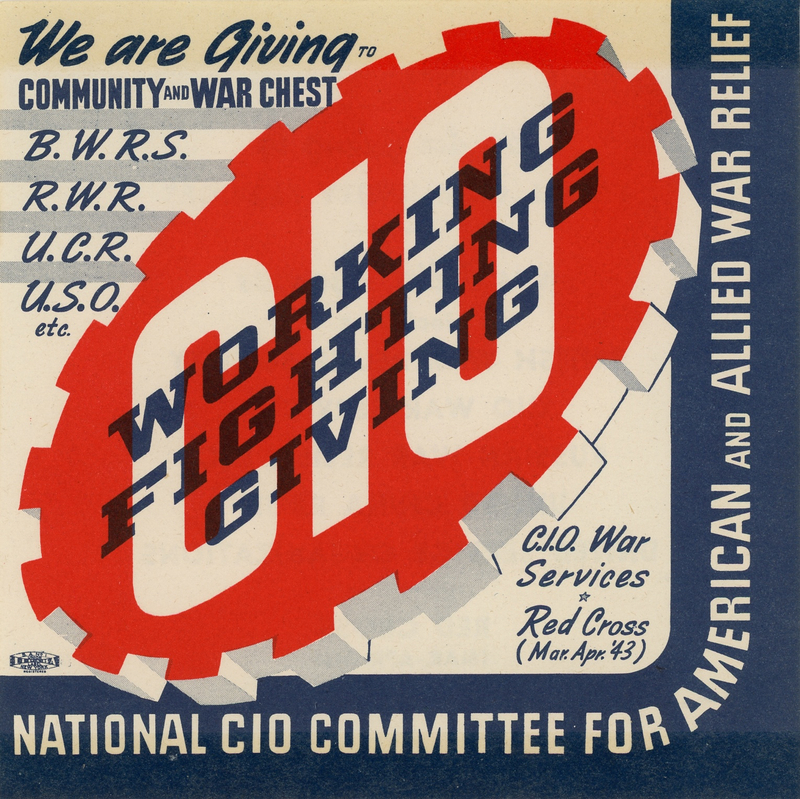 '43) -- National CIO Committee For American And Allied War Relief -- We Are Giving To Community And War Chest -- B.W.R.S., R.W.R., U.C.R., U.S.O., etc. The back of the sticker states "War Relief Agencies Including British War Relief Society, CIO War Services, Russian War Relief, Inc, United China Relief, United Service Organizations -- Red Cross"